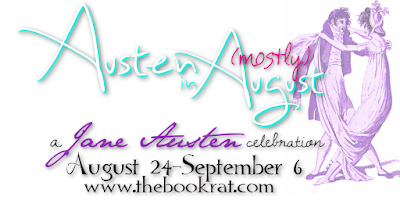 The Book Rat: Sense & Sensibility Was My Gateway Austen Drug | guest post from author Karen Cox! The following is a clip-heavy post courtesy author Karen Cox, so make sure you click through to watch all of the S&S goodies! Some time around 1996, I found Jane Austen for the last time. I had tried to read Sense and Sensibility before, but had set it aside. I was a young mother, with no time to sit and parse the 18th century prose. I was working on my dissertation. I was trying to build a career. So I gave up on Austen, at least temporarily. I put her away for another time when life wasn’t so busy. I would return once my days settled down. Well, my life never did settle down, but Jane came storming back into it when I happened upon Ang Lee’s “Sense and Sensibility”—you know, the one with the amazing Emma Thompson, and Kate Winslet, and Hugh Grant. Movie adaptations of books are tricky things, but the beauty of this one—the slow, almost leisurely pace of it, and the bittersweet tang of romantic angst, ran through my veins like a drug. Add in the maddening manipulation of Lucy Steele, the hilarity of Mrs. Jennings, the avarice of Fanny Dashwood, and I was hooked. I had to read Sense and Sensibility. I made myself finish it. It took me two tries because I was so unused to reading classic literature. It’s still one of my least favorites of Austen’s published works. But finish it I did, and then I decided to tackle the best known of her books, Pride and Prejudice. I then discovered P&P 95, and Colin Firth, and that sealed my fate. I went on to read Emma, Persuasion, Mansfield Park, and last year, I finally completed the Austen hat trick by devouring Northanger Abbey for the first time. I’m extremely glad that karma smiled on Emma during S&S: She met her husband Greg Wise while filming that movie—just after Kenneth Brannagh was foolish enough to let her go. This movie was a work of art: beautiful cinematography perfectly accented with Patrick Doyle’s soundtrack. It was like a breath of fresh air. Minor Characters such as Hugh Laurie as Mr. Palmer, and Elizabeth Spriggs as Mrs. Jennings: they gave life and humor to a story that has always seemed to me a touch on the melancholy side in written form. So that’s the roundabout way I found one of my life’s passions: the work of Jane Austen. My experience definitely makes a case for continuing to indulge ourselves in Austenesque adaptations and variations. They do lead readers back to the original stories. Ang Lee’s Sense and Sensibility movie did that for me. Does anyone else have an interesting path to Austen? Karen M Cox writes novels accented with romance and history. Her first three published novels: 1932, Find Wonder in All Things, and At the Edge of the Sea, have garnered awards from the independent publishing industry, taking top honors three out of the five times they were recognized. Last year, she also participated in Meryton Press’s inaugural anthology, Sun-Kissed: Effusions of Summer, with her short story, “Northanger Revisited 2015.” Her fourth full-length novel, Undeceived: Pride and Prejudice in the Spy Game, was released in Kindle and print formats earlier this year. And on several of the usual social media haunts such as Facebook, (karenmcox1932), Twitter (@karenmcox1932), Pinterest (karenmc1932), Instagram (karenmcox1932), and Tumblr (karenmcox). I read Pride & Prejudice for my Inter.Cert. ( a state exam). I still have my copy of the book and can only laugh at all the underlined quotes and scribblings about Austen's use of irony,imagery etc,in the margin. Stumbled upon the '95 film and fell instantly in love with the dialogue,sets,characters and the actors who played them. Some people think Alison Steadman annoying for the way she chose to portray Mrs B,but I think she was wonderful! As of course were B.Whithrow,Jennifer and Colin....!! Love this film so much that I know the dialogue practically off by heart!! Apologies for my meandering thoughts but I must have my share of the conversation!!! And the film adaptions and Austenesque stories just keep my love burning bright for Austen. Thanks for a wonderful post! I agree that screen adaptations can be a perfect gateway to the books, and I love your choice of Ang Lee's Sense and Sensibility. I think that Emma Thompson's script best captured Austen's comic flair, because despite all the tragedy and romantic yearning, there are some really funny moments in this book. I'm currently revisiting the novel with an audiobook edition narrated by Juliet Stevenson. She is such a brilliant narrator that I find myself laughing out loud at times; her performance really underscores how well Austen skewers human nature. So maybe audiobooks are also a gateway, or simply another way to enjoy these excellent works. Thanks again! My path to Austen started in the same place. I was 11 when Ang Lee's version came out, and I fell in love; following it up with the Paltrow-Emma a year or so later, and the stage was set for me to become a Janeite -- but it wasn't until I was 17 that I actually read one (and then all, immediately after) of her books. And the rest, as we know, was history. I was a goner. I think I was around 12 or so when I first encountered Austen. My parents had rented the 1980 mini-series adaptation of P&P (which I feel like pretty much no one has seen, but I still have a soft spot for given that it was my first ever Austen film) and I sat down to watch it with them. I was riveted, loving the subtle social nuances, witty dialogue, and distinctive characters. I think in the following couple of years I read P&P and then branched out to other Austen books and adaptations. So, yeah, shout-out to the 1980 adaptation of P&P featuring Elizabeth Garvie and David Rintoul! I love Garvie's performance as Elizabeth - she balances her energy/sass and maturity quite well - and the actors portraying Mrs. Bennet and Mr. Collins both do a terrific job as well. (The best Darcy I've seen, however, is Colin Firth, naturally.) Has anyone else seen this 1980 version? If you have, please share what you thought! I was assigned Jane Eyre in Jr. HS and we never read any JA in school or college so when the 1995 film version of P&P was released I had to read the book and that was my gateway. Love the clips and the music. I think I have every movie version of all the books and am now watching for the release of Love and Friendship, which was excellent in the theater where I saw it with Claudine. I love it that Ang's S&S was your gateway drug!!! There is meme if I ever heard one. Wright's P&P made me take up piano again. I was determined to become an accomplished piano player some 25 years after my last piano lesson. I even bought a piano. gateway drug indeed!